If Israel has been replaced by the church, then God is a liar. 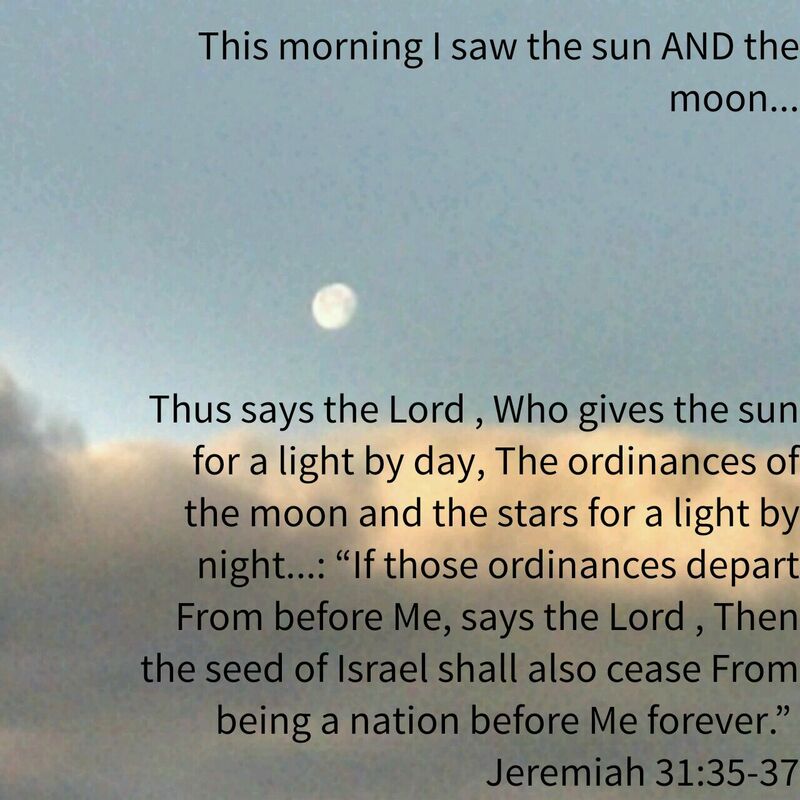 This entry was posted in Visual Scripture and tagged clouds, Everlasting Covenant, Israel, moon, photography, sun. Bookmark the permalink. At present, the title of this article for literalist folks like me kinda sounds like “Israel HAS been replaced….” I would have been less confused if it said, “Israel has not and cannot be replaced…” This is a great poster – this verse has been a touchstone for us since we came into Hebrew Roots – thanks for making it ‘sharable’! !